We can smoothly redirect a WordPress page or post to any webpage using 301 or 302 and there are many plugins out there to help you do so. 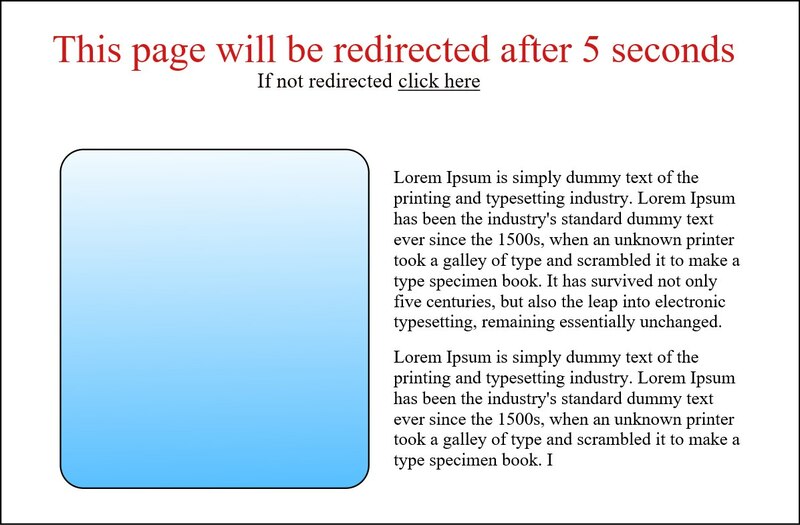 In this condition page is redirected immediately and no one can see the content of the page which is being redirected. This kind of ‘page redirect’ is considered SEO friendly. Because the content of the page that is being redirected is already shifted onto the destination page. On the other hand, If a page whose content is indexed by Google is redirected in such a way that the redirection takes its time and the content of the page (which is being redirected) is displayed. From SEO point, it is devastating and Google not taking it well may penalize such pages or sites that use this type of redirect. But if a page which has some ‘definite delay/lag/hold-up time’ in redirection process is set to noindex, it will be fine and not affect SEO. Sometimes we need to tell the users before they are taken to another page why they are being redirected and in that case ‘delay time/hold-up’ becomes necessary. To this end, we use ‘delayed redirect’. For example, there is a link which redirects a user to Product A webpage. Product A is available in United States but not available in Europe. So we have to create a ‘geo redirect’ for European users, where before redirection a page appears which tells European users that product A is not available in their area and so you are being redirected to product B website (product B, say, is an alternative to product A). After this dialogue European user is redirected to product B webpage. So now you can see that while in normal condition a ‘delayed redirect’ is harmful but sometimes it is necessary. But there is one problem here. WordPress post editor, by default, does not give you any option to add header meta. So to add header code to a specific post or page, we need to use Header and Footer Scripts plugin (by Anand Kumar). This plugin creates a content box below the post/page editor in which we can write a header code specific to a post or page. Replace the colored values with your own.